In December, US President Donald Trump signed into law H.R. 1, originally known as the “Tax Cuts and Jobs Act.” There are major changes to the taxation of individuals, businesses across the board, and multi-nationals. The net effect is a tax reduction of around $1,456 billion over 10 years. One of the beneficiaries is Sasol, or more particularly the Lake Charles ethane cracker and derivatives complex in Louisiana. I estimate that Lake Charles stand-alone earnings could increase by at least 25% when the project comes on stream. This equates to approximately 12% of projected Group earnings. The US project has not been adequately valued in the share price, so this is a useful boost, on top of a higher oil price. I’ve had a fair value of R400 for some time but that is predicated on a lower oil price of $55/bbl and the rand around $14/$. Given the US tax change and higher Brent, a share price in the region of R450 is now looking attractive. In December, US President Donald Trump signed into law H.R. 1, originally known as the “Tax Cuts and Jobs Act.” There are major changes to the taxation of individuals, businesses across the board, and multi-nationals. The net effect is a tax reduction of around $1,456 billion over 10 years. A permanent reduction in the statutory corporation tax rate to 21% from 35%, repeal of the corporate alternative minimum tax, expensing of capital investment, limitation of the deduction for interest expense, and many other changes to corporate tax rules. In addition, there is change to the taxation of multinationals, including a shift from worldwide taxation with deferral to a hybrid territorial system. This has a participation exemption aspect, with current taxation of foreign income, a minimum tax on low-taxed foreign earnings, and measures to prevent base erosion and stimulate US based production. There are few South African listed companies with any material interests in the US that will benefit but I calculate that Sasol could be one of the bigger beneficiaries and this should be taken account of when valuing the Group. The economics of Lake Charles are complicated and the projected financials subject to variables. With an IRR, guided by Sasol to be around 8,5%, a return in US dollar of 12% to 14% is indicated with a payback of twelve years and a return on investment of up to 14%. In the US, states compete on tax incentives and Sasol is receiving various tax breaks from Louisiana, independent of the Federal tax changes. The corporate tax rate is cut from 35% to 21% wef January 2018. The tax changes allow for a bonus depreciation so that companies can expense straight off any assets acquired, going from 50% to 100%. This applies to assets brought in wef 28 Sept 2017 and prior to 2023. The 100% bonus depreciation rule applies through 2022 and phases down over five years. There is now a limit on deductibility of interest expense. So, deduction of interest expense over 30% of taxable income is disallowed. This will not have much impact on Sasol as I estimate that even peak interest paid at Lake Charles will be around 33% of operating profit, falling below 25% by 2023. I estimate that revenue in 2020 could be $2 billion with EBITDA at $1,3 billion. Depreciation will be approximately $240 million per annum. Interest paid is likely to be $380 million to $400 million initially before falling to below $300 million by 2023. 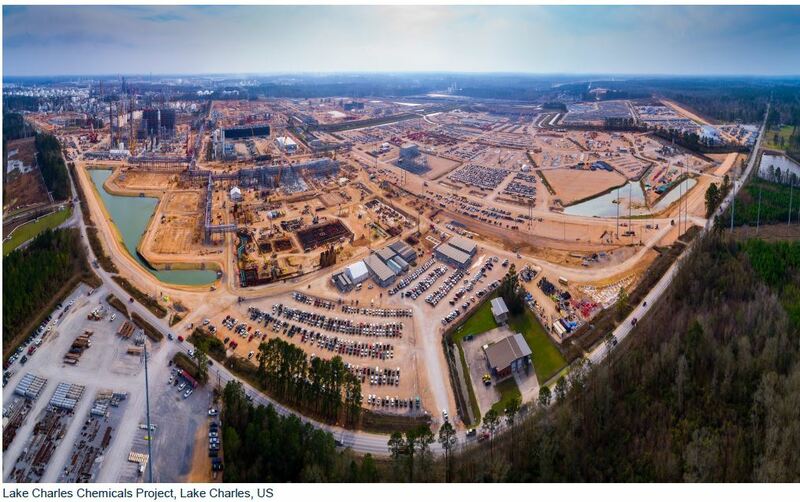 Factoring in a 21% US tax rate, Lake Charles earnings could increase by at least 25% when the project comes fully on stream from 2020. Lake Charles stand-alone EPS would be roughly $0,30 higher than estimated previously, which is equivalent to 10% of Sasol’s reported Group EPS for 2017 and 12% of estimated 2018 EPS. There was little in the way of deferred tax for the US reported in F2017 so I expect almost no revaluations on the income statement. A combination of lower corporate tax rate and accelerated depreciation results in lower cash tax paid, but that is only from 2030. In 2020, I now estimate that Lake Charles after tax earnings will be approximately $550 million, increasing to $800 million within five years of that. EBITDA is estimated at $1,5 billion within three years of commencement and maintained at that level. I should point out that well-established energy companies such as Shell will be negatively affected in the short-term by the Trump tax changes, but this does not apply to Lake Charles. The tax change will dampen earnings for energy majors if they have large deferred tax assets in the US, which are revalued at the new 21% corporate tax rate. This balance sheet effect is reported through income. However, analysts will probably back this out as a one-off item anyway with no cash effect. In general, the valuation effect should be positive for energy companies exposed to the US as they pay less US tax and have higher cash flows. Sasol’s US project is not adequately valued in the current share price. I said previously that Lake Charles could command a present value of approximately $11 or R150 per share in 2017 money (at an exchange rate of R13,60/$). That would now increase with the Trump tax changes by about 20% to $13 or R162 (at an exchange rate of R12,50/$). 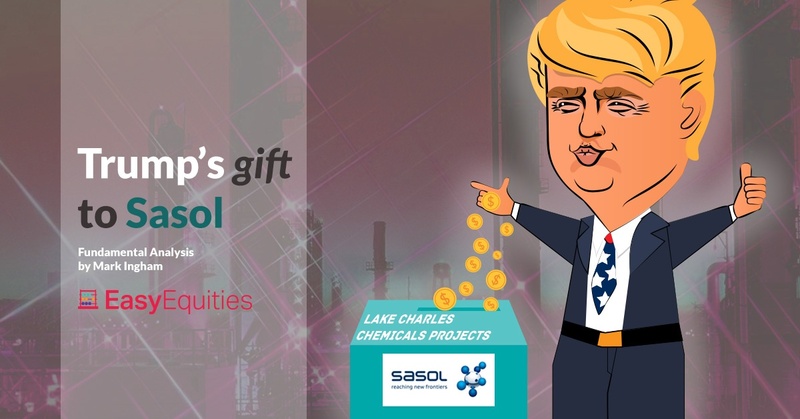 The US President has given Sasol a welcome gift. In addition, a higher Brent oil price is a useful boost at a time when the rand has strengthened. 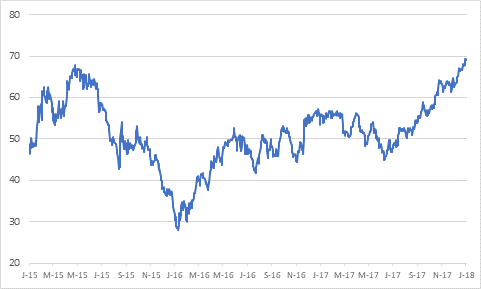 Brent is currently $69/bbl and the average Brent oil price since the start of the Sasol financial year in July is $57/bbl, which compares with an average of $49,77/bbl for the year ending June 2017 and $43,37 in F2016. I’ve had a fair value of R400 for some time but that is predicated on a lower oil price of $55/bbl and the rand around $14/$. Given the US tax change and higher Brent, a share price in the region of R450 is now looking attractive. For shareholders, the bottom line is that new US tax changes are valuation and EPS positive for Sasol.